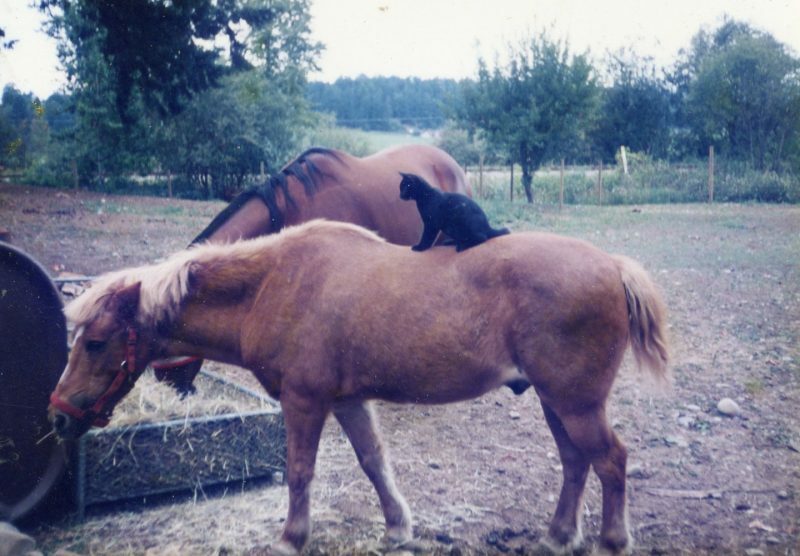 Horse with Cat. No one seems too bothered by this (certainly not the horse). The more important thing to know, however, is that the smaller horse is more likely to be the size of the brigade horses than the larger horse. The brigade horses weighed 700 to 1,000 pounds, more or less — this horse is on the smaller size of this weight spread. The Saskatchewan horses had not arrived at Fort Colvile when Chief Factor Peter Skene Ogden’s temporary replacement, John Ballenden, arrived at the post in November 1851. He found Alexander Anderson sick from the influenza which raged through the territory this year. He put William Sinclair Jr. in charge of Fort Colvile, taking Anderson down to Fort Vancouver with him in the express boats. What happened immediately, of course, was that there were a hundred horses NOT available as pack-horses for the brigades. I would have thought the Saskatchewan horses would have welcomed, but they were not. On one occasion, because of the shortage of horses, Donald Manson borrowed a large number of animals from his Indigenous neighbours, and fifty or so were lost on the trail. Naturally, the owners demanded replacement horses, and all of this replacement stock came from HBC horse farm. Another massive and expensive loss of horses for the HBC men! Well, its hard to know as there is little more information about these horses, but Angus McDonald was not the type of person to substitute bad horses for good, I think. He may have branded the horses as they arrived at Fort Colvile. If he had kept one-third of the horses that arrived at Fort Colvile, then he would have kept twenty or thirty new horses for himself. 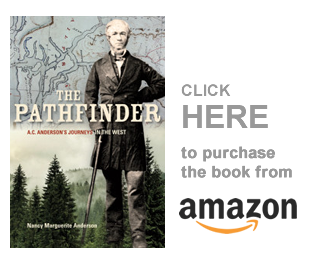 Unfortunately, in 1853, when he took his brigades out to Fort Vancouver, he found that Chief Factor Peter Skene Ogden had sold fifty of the Fort Colvile horses, for $100 apiece, to the U.S. Army at Fort Vancouver! These were the same horses that, in the early days, the HBC men were used to purchasing for a blanket: by the early 1850’s they could not afford to pay three blankets for these horses. Now they were worth $100 a head, in cash. So fifty head of horses were taken from the Fort Colvile brigades, and because of the sudden shortage of pack-horses, McDonald had to make two trips to bring in his trade goods. So why was Fort Vancouver so short of horses that they had to sell Angus McDonald’s horses (some of which would have been the newly imported Saskatchewan horses)? The first lot of brood mares on the Kamloops farm had come from Fort Vancouver sometime before 1853: according to Douglas: “It is unfortunate that so many of the Mares sent on from Fort Vancouver should have been lost on the way.” [B.226/b/3, HBCA] These brood mares would have been driven from Fort Vancouver, east to Fort Colvile via Spokane, and then north to Kamloops — a long journey that many did not survive! Fraser as usual promises great things, more I fear than can be reasonably expected from him. He has an unfortunate tongue, which is a never failing source of trouble to himself and all around him. Anderson was very bitter with him at Langley about some reports to his prejudice and was disposed to go to great lengths with him but I advised him to drop the matter and patched up a reconciliation on Fraser’s solemn promise of amendment for the future– which I fear was forgotten as soon as the parties separated. At the time I thought this argument was about the beating death of Michel Fallardeau, but the dates didn’t match. I think now it was because of the Saskatchewan horses. By 1851 Kamloops had a horse-breeding farm. Fraser, who was in charge of this new farm, heard about the horses and made some sort of comment that Anderson took offense to. I enjoyed this story, but in the end it got cut out of my book. So here it is, and I share it with you.